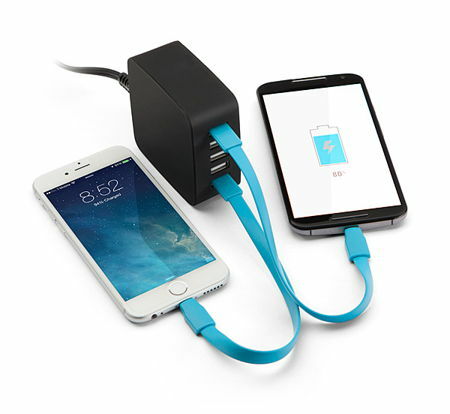 Many devices these days are charged up using a USB connection, and the convenience of it all cannot be overstated. In fact, the more USB ports there are on your computer, the better. The thing is, some of us happen to purchase machines that have just a couple of USB ports at most due to aesthetic reasons, and to tote around a USB hub is a necessary evil, so to speak. Why not take a slightly different route and go the whole nine yards with the $39.99 Antec 5-Port USB Charging Station? The Antec 5-Port USB Charging Station, as its name suggests, will be able to charge up to 5 devices simultaneously – and this means you can juice up multiple tablets at high speed, thanks to a total output of 7.8A, now how about that? Delivering 39 watts of power that will be divided between all your devices and across 5 USB ports, you can even throw in various configurations like a pair of tablets and 3 phones, 5 phones all at once, or even three tablets and a single phone.